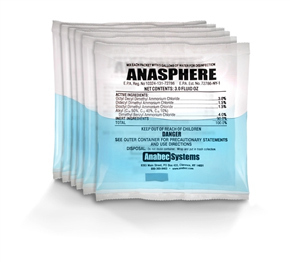 Anasphere represents the next generaton in hygiene technology. It is a non-toxic disinfectant, sanitizer and deodorizer, proven to eliminate and protect thousands of surfaces from a variety of microbial organisms including Aspergillus niger, H1N1, E. Coli, Influenza, Listeria, Salmonella, MRSA, HIV-1 and many more. The disinfectant in Anasphere is coupled with an organic polymer that provides long term staying power, so surfaces stay cleaner longer. 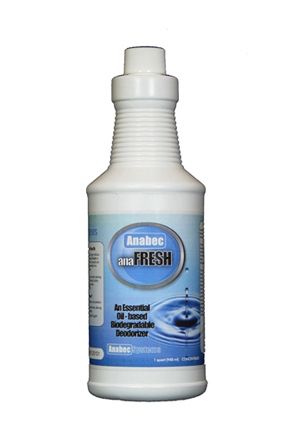 AnaFresh is a highly concentrated deodorizer that is a safe and effective tool for eliminating tough odors caused by disasters. The concentrate is designed to target and completely neutralize the odors left behind by fires, smoke, flooding, mold and mildew. AnaFresh is a blend of 100% biodegradable essential oils. 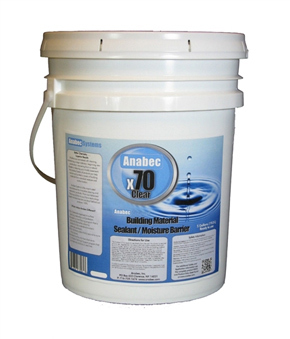 Anabec's x90 is a solid white moisture barrier product specifically designed for application to unfinished building surfaces, including but not limited to: framing lumber, plywood, OSB, brick, block and unfinished drywall. 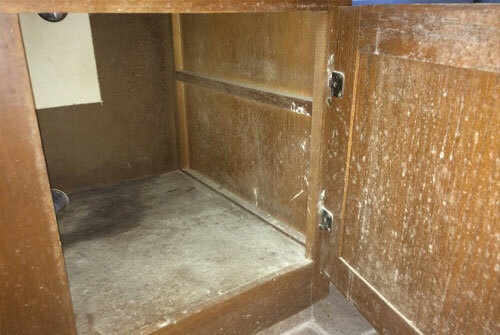 The solid white finish is formulated to block evidence of staining from previous mold contamination and it serves as an excellent primer coat. Like similar Anabec coatings the product uses nano-technology which allows the ingredients in x90 to penetrate a materials surface. 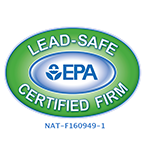 At 84% solids, x90 contains the most solids of any mold remediation industry coating. 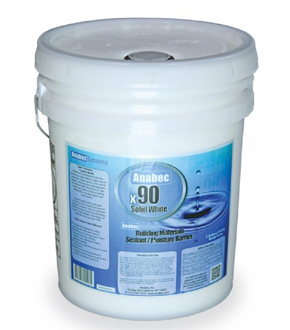 x90 is available in 5 gallon ready to use pails. NewBuild 50 is a moisture barrier that gets under the skin of new building materials to protect new projects before microbial contamination can start. 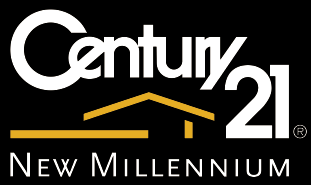 Designed exclusively for the new construction industry, this translucent product forms a penetrating (rather than coating) moisture barrier which is resistant to the growth of mold and mildew. 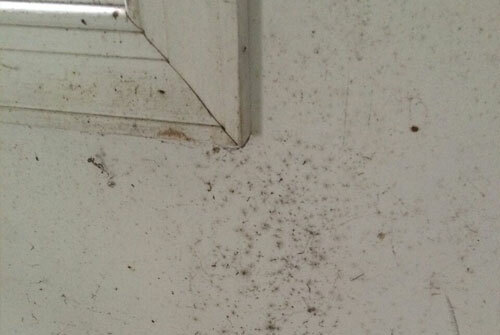 NewBuild resists water, bonds to surfaces, won't wash off and can be painted over. Like X-70 Plus this product uses nano-technology which allows the active silver based ingredients in NewBuild to penetrate a material's surface. NewBuild can be applied to fiber, wood, drywall, brick, block and concrete. Advanced Cleaning Solution is a patented cleaning product and the cornerstone in the Anabec System of products. The Advanced Cleaning Solution has been applied to thousands of institutions, homes and industrial facilities for both microbial contamination and general cleaning applications. When coupled with mechanical action for maximum material penetration, this clear formula removes organic debris left by microbial organisms. The product leaves an extremely clean surface that can then be treated with a microbial barrier or penetrant product such as Anasphere or X-70 Plus, respectively. 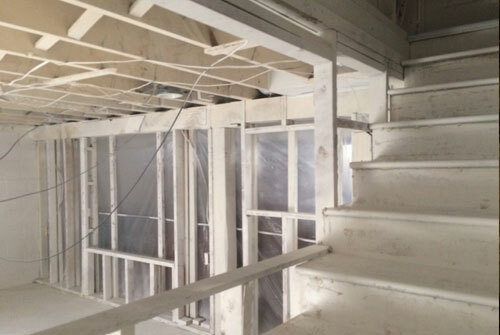 Applications include porous and non-porous materials such as structural framing, cement, block, finished and unfinished drywall, carpeting, upholstery, ceiling tiles and other related materials. 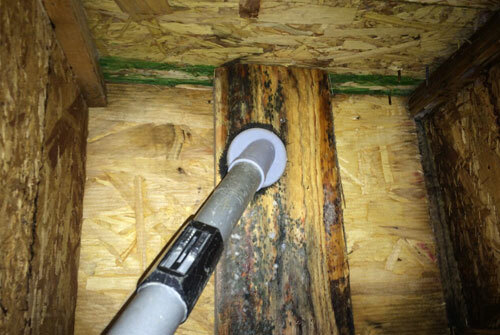 The X-70 Plus is a microbial barrier product specifically designed for application to unfinished building surfaces, including wood fibers, brick, block ad unfinished drywall, among others. The product uses nano-technology which allows the active ingredients in X-70 Plus to penetrate a material's surface. Application of X-70 Plus, following the cleaning of the surface with Anabec's Advanced Cleaning Solution results in an extremely durable barrier which resists moisture, mold and mildew growth.